DizFanatic - A Website and Podcast for the Disney Fanatic in YOU! Teaser Trailer for Disney’s Animated Feature, in Theaters March 4, 2016! The DizFanatic "Ears on Ears" podcast is the official voice of the DizFanatic.com website. Join us for a fun, informative and entertaining show about all things Disney! Subscribe or download for free! The DizFanatic "Ears on Ears" Podcast is proudly sponsored by Kingdom Konsultant Travel. 03/19/12 - New Podcast Episode! We are a group of people, young and old, who center our lives and our every breath around the joy of Disney theme parks, movies, music, collectibles or anything else that enhances our enjoyment of the world of mouse. We eat, drink, breathe, wear and smell like all things Disney! Well, maybe those words are a bit over the edge, but we do come quite close. Please note that we are not at all affiliated with the Disney Corporation, and all views and other jargon contain within our site are independent from the aforementioned. You get the point! Why should you explore our site? Well, why not? You have nothing better to do, so you may as well snoop around our site and find out what makes us tick. This is intended to be a fun, informative happy place for us to share our interests with you, and share yours with others. Hey, I have four kids, I can lecture you for hours about sharing. But I wont. What the heck do we want from you? First, a smile! Then, fire us an email and share your thoughts and interests. What would you like DizFanatic.com to be??? Do you have some exciting Disney news, tips or secrets? Any hidden Mickey's that you've found? Some real cool links related to Disney (or anything for that matter) Favorite movies or park attractions? Favorite brand of bottled water??? Well, let's not get carried away now, but I think you get the picture. 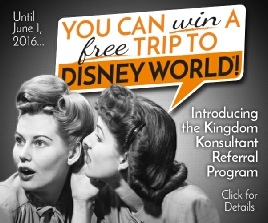 Win a FREE Disney Vacation from our friends & sponsors at Kingdom Konsultant Travel! 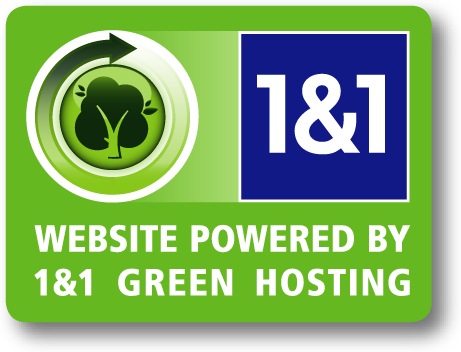 Proudly hosted with 1&1 Green Hosting data center. Disney Announces "Les Villages Nature" Near Disneyland Paris! Disney and Pixar Icon Tattoos! 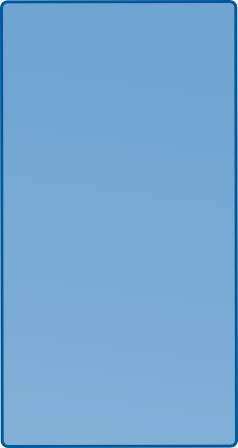 Walt Disney World Summer 2014 Happenings! Walt Disney World Holiday 2013 Events! Disneyland California Holiday 2013 Events! Disneyland California Spring 2013 Happenings! Walt Disney World Spring 2013 Happenings!